No church should settle or stay stuck. But not every healthy church gets bigger. This has been an underlying assumption of many in the church growth movement. (Although it’s usually more subtly stated than that.) But, as with any assumption, we must always ask one vital question. Certainly many churches that stay small are unhealthy. Thankfully, unhealthy churches tend not to grow. But, as I’ve written in The Myth of Inevitable Congregational Growth, some healthy churches don’t experience the numerical growth we expect. Some healthy churches don’t experience the numerical growth we expect. So I’ve started compiling a list of the types of healthy small churches whose numbers will often stay static, even though they’re doing great kingdom work. It’s not a definitive list. Just what I’ve discovered so far. And it's not universally true. Every one of these has exceptional cases of significant numerical growth. Also, I am not offering these as an excuse for laziness or any other form of ill-health. Enthusiastic participation in the growth of the church through the Great Commandment and Great Commission is a non-optional essential for every congregation. But many types of churches do that without seeing their own numerical growth. Some churches contribute to the body of Christ by growing bigger. 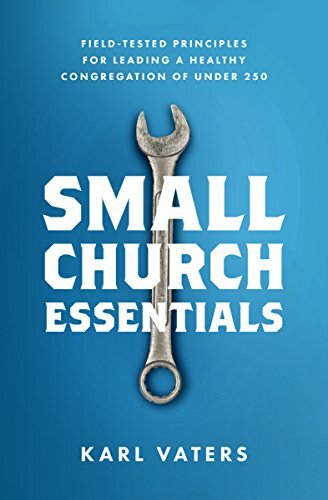 Some are like spiritual Johnny Appleseeds, planting other small churches all over the place. Small churches are especially well-suited to be hands-on training centers. Including the church I pastor. During the school year, up to one-third of our church attendance can be college students. Plus we have internships in both the school year and the summer months, during which students from all over the world get to interact with every aspect of the church body. Interning in a small church allows them to see the church as an integrated whole, not just in one narrow department. This usually goes in tandem with being a Training Church. We train them, then we send them. In the church I pastor, for example, members are always leaving us for active ministry elsewhere. Last Sunday is a typical example, in which we said goodbye to three people. 1) A member of our worship team who has accepted a full-time position leading worship at another church, 2) an intern who is heading back home to Austria, and 3) a long-term member who will be training missions teams all over the world. Church growth is a mystery. Church failure is predictable. Church health is what really matters.